I absolutely love this picturesque church and how it is situated in Brown’s Town itself! I could not resist painting the red roof and the stonework along with the arched windows that make up the church. The palm trees scattered around the church grounds just enhance the overall beauty of a building found in the garden parish of St. Ann, Jamaica. 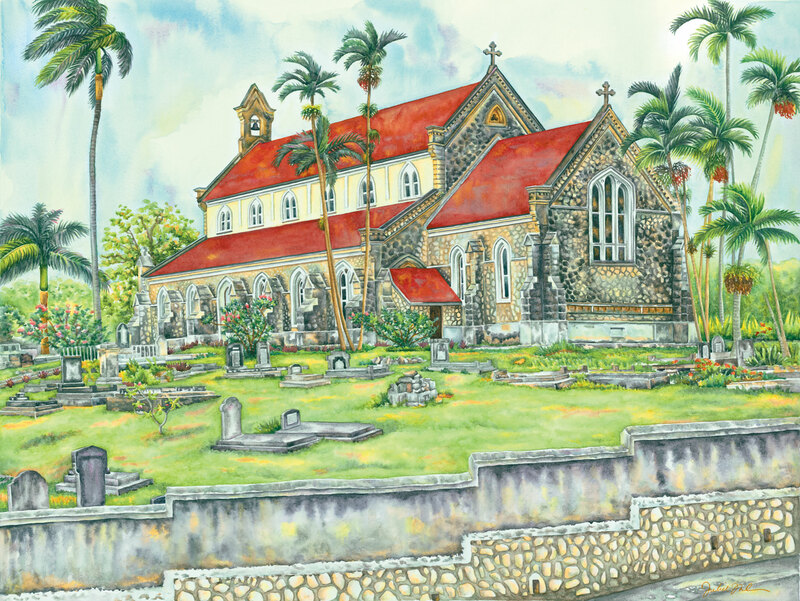 Not only did I paint it, I also used it on the cover of my book “A Watercolour Tribute To Historic Jamaican Churches”. This is a limited edition of 50 giclée prints on watercolor paper. The original painting has not been sold.